To mark the 50th anniversary of the release of Sgt. 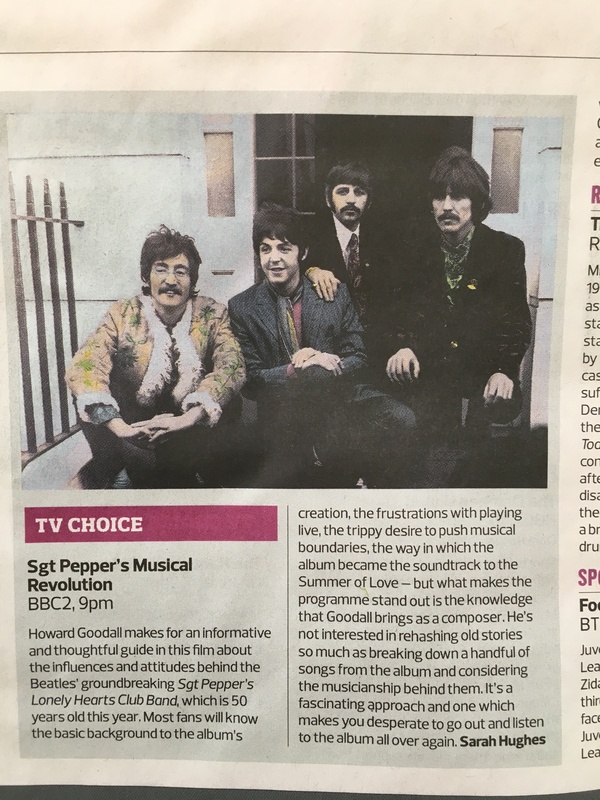 Pepper’s Lonely Hearts Club Band by The Beatles on 1 June 1967, the BBC and PBS in USA and Canada celebrated with programmes across radio and TV. Sgt. 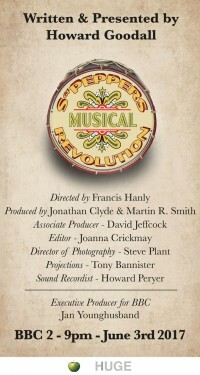 Pepper’s Musical Revolution, a new documentary from Huge Films directed by Francis Hanly, presented Sgt. Pepper as you have never heard it before. The film included extracts from material never before accessible outside of Abbey Road, studio chats between the band, out-takes, isolated instrumental and vocal tracks as well as passages from alternative takes of these world-famous songs. Written and presented by Howard Goodall, he got to grips with the album’s musical nuts and bolts. Click here for the BBC and PBS pages.